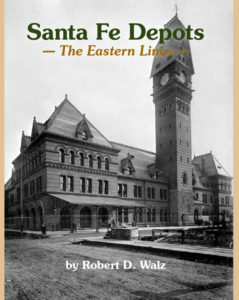 BYLAWS OF THE SANTA FE RAILWAY HISTORICAL SOCIETY, INC.
Company as history may disclose. 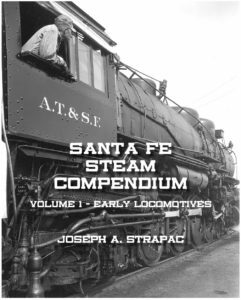 (b) To advance the hobby of railroad history in general, and of The Atchison, Topeka and Santa Fe Railway Company, Incorporated in particular, wherever and whenever possible by publications, meetings and all things necessary or incident to these purposes. The corporation shall have three classes of members. No member shall hold more than one membership in the corporation. Except as expressly provided in or authorized by the Articles of Incorporation or Bylaws of this corporation, all members shall have the same rights, privileges, restrictions and conditions. (a) Regular. Any natural person may become a Regular Member upon application to the Secretary and payment of the Regular membership annual dues defined in Section 4 of this Article. (b) Sustaining. Any person, corporation, or association may become a Sustaining Member upon application to the Secretary and payment of the Sustaining membership annual dues defined in Section 4 of this Article. (c) Honorary Life. Application may not be made for Honorary Life Membership. As recognition of meritorious service to the corporation, any person may be elected to Honorary Life Membership only by a vote of a majority of the Board of Directors. (1) In United States funds. membership year and shall be considered delinquent on the thirty-first day thereafter. (3) In accordance with an annual dues schedule set by the Board of Directors. (4) None, for Honorary Life Members. (4) Any person expelled from the corporation shall receive a refund of dues already paid. The refund shall be prorated to return only the unaccrued balance remaining for the period of the dues payment. The membership shall meet annually at the business meeting conducted as a part of the annual convention, or at such time designated by the Board of Directors, for the purpose of electing Directors to replace those whose terms are expiring and transacting other business as may come before the meeting. Cumulative voting for the election of Directors shall not be permitted. The candidates receiving the highest number of votes up to the number of Directors to be elected shall be elected. Each voting member shall cast one vote, with voting being by ballot, voice vote, or show of hands. The annual meeting of members for the purpose of electing Directors shall be deemed a regular meeting and any reference in these Bylaws to regular meetings of members refers to this annual meeting. Should an annual convention not be held, a date, time and place for the annual meeting of the corporation will be designated by the Board of Directors. (a) Persons Who May Call Special Meetings of Members. Special meetings of the members shall be called by the Board of Directors, the Chairman of the Board, or the President of the corporation. In addition, special meetings of the members for the purpose of the removal of Directors and election of their replacements may be called by five percent (5%) or more of the members. (a) Time of Notice. Whenever members are required or permitted to take action at a meeting, a written notice of the meeting shall be given by the Secretary of the corporation not less than ten (10) nor more than ninety (90) days before the date of the meeting to each member who, on the record date for the notice of the meeting, is entitled to vote thereat; provided, however, that if notice is given by mail, and the notice is not mailed by first-class, registered, or certified mail, that notice shall be given twenty (20) days before the meeting. (b) Manner of Giving Notice. Notice of a membership meeting or any report shall be given either personally or by mail or other means of written communication, addressed to each member at the address of such member appearing on the books of the corporation or given by the member to the corporation for the purpose of notice; or if no address appears or is given, at the place where the principal office of the corporation is located or by publication of notice of the meeting at least once in a newspaper of general circulation in the county in which the principal office is located. Notice shall be deemed to have been given at the time when delivered personally or deposited in the mail or sent by telegram or other means of written communication. of the meeting. The date for such meeting shall be fixed by the Board and shall not be less than thirty-five (35) nor more than ninety (90) days after the receipt of the request for the meeting by the officer. If the notice is not given within twenty (20) days after the receipt of the request, persons calling the meeting may give the notice themselves. (e) Waiver of Notice of Meetings. The transactions of any meeting of members, however called and noticed, and wherever held, shall be as valid as though taken at a meeting duly held after regular call and notice, if a quorum is present either in person or by proxy, and if, either before or after the meeting, each of the persons entitled to vote, not present in person or by proxy, signs a written waiver of notice or a consent to the holding of the meeting or an approval of the minutes thereof. All such waivers, consents and approvals shall be filed with the corporate records or made a part of the minutes of the meeting. Waiver of notices or consents need not specify either the business to be transacted or the purpose of any regular or special meeting of members, except that if action is taken or proposed to be taken for approval of any of the matters specified in subparagraph (f) of this section, the waiver of notice of consent shall state the general nature of the proposal. (f) Special Notice Rules for Approving Certain Proposals. If action is proposed to be taken or is taken with respect to the following proposals, such action shall be invalid unless unanimously approved by those entitled to vote or unless the general nature of the proposal is stated in the notice of meeting or in any written waiver of notice:(1) Removal of Directors without cause;(2) Filling of vacancies on the Board by the members;(3) Amending the Articles of Incorporation; and(4) An election to voluntarily wind up and dissolve the corporation. Each member is entitled to one vote on each matter submitted to a vote by the members. Voting at duly held meetings shall be by voice vote. Election of Directors, however, shall be by ballot, voice vote, or a show of hands. Members entitled to vote shall not be permitted to vote or act by proxy, and no provision in the Bylaws referring to proxy voting shall be construed to permit any member to vote or act by proxy. Meetings of members shall be presided over by the Chairman of the Board, or, if there is no Chairman, by the President of the corporation, or, in his or her absence, by the Vice- President of the corporation or, in the absence of all of these persons, by a Chairman chosen by a majority of the voting members, present in person or by proxy. The Secretary of the corporation hall act as Secretary of all meetings of members, provided that in his or her absence, the presiding officer shall appoint another person to act as Secretary of the meeting. Meetings shall be governed by Roberts’ Rules of Order, as such rules may be revised from time to time, insofar as such rules are not inconsistent with or in conflict with these Bylaws, with the Articles of Incorporation of this corporation, or with any provisions of law. Any action which may be taken at any regular or special meeting of members may be taken without a meeting if the corporation distributes a written ballot to every member entitled to vote on the matter. The ballot shall set forth the proposed action, provide an opportunity to specify approval or disapproval of each proposal, provide that where the person solicited specifies a choice with respect to any such proposal the vote shall be cast in accordance therewith, and provide a reasonable time within which to return the ballot to the corporation. Ballots shall be mailed or delivered in the manner required for giving notice of meetings specified in Section 4(b) of this Article. All written ballots shall also indicate the number of responses needed to meet the quorum requirements and, except for ballots soliciting votes for the election of Directors, shall state the percentage of approvals necessary to pass the measure submitted. The ballots must specify the time by which they must be received by the corporation in order to be counted. Approval of action by written ballot shall be valid only when the number of votes cast by ballot within the time period specified equals or exceeds the quorum required to be present at a meeting authorizing the action, and the number of approvals equals or exceeds the number of votes that would be required to approve the action at a meeting at which the total number of votes cast was the same of votes cast by ballot. Upon the written request by any nominee for election to the Board and the payment with such request of the reasonable costs of mailing (including postage) the corporation shall, within ten (10) business days after such request (provided payment has been made) mail to all members or such portion of them that the nominee may reasonably specify, any material which the nominee shall furnish and which is reasonably related to the election, unless the corporation within five (5) business days after the request allows the nominee, at the corporation’s option, the right to do either of the following: (1) inspect and copy the record of all members’ names, addresses and voting rights, at reasonable times, upon five (5) business days’ prior written demand upon the corporation, which demand shall state the purpose for which the inspection rights are requested; or (2) obtain from the Secretary, upon written demand and payment of a reasonable charge, a list of the names, addresses and voting rights of those members entitled to vote for the election of Directors, as of the most recent record date for which it has been compiled or as of any date specified by the nominee subsequent to the date of demand. The demand shall state the purpose for which it has been compiled or as of any date specified by the nominee subsequent to the date of demand. The demand shall state the purpose for which the list is requested and the membership list shall be made available on or before the later of ten (10) business days after the demand is received or after the date specified therein as the date as of which the list is to be compiled. If this corporation publishes any material soliciting votes for any nominee for Director in any publication owned or controlled by the corporation, it shall make available to all other nominees, in the same issue of the publication, an equal amount of space, with equal prominence, to be used by the other nominees for a purpose reasonably related to the election. Generally, any person who is qualified to be elected to the Board of Directors shall be nominated at the annual meeting of members held for the purpose of electing Directors by any member present at the meeting in person or by proxy. However, if the corporation has five hundred (500) or more members, any of the additional nomination procedures specified in subsections (a) and (b) of Section 5521 of the California Nonprofit Corporation Law may be used to nominate persons for election to the Board of Directors. The corporation shall have five (5) Directors and collectively they shall be known as the Board of Directors. The number may be changed by amendment of this Bylaw, or by repeal of this Bylaw and adoptions of a new Bylaw, as provided in these Bylaws. (b) Except as otherwise provided in these Bylaws, appoint and remove, employ and discharge, and prescribe the duties and fix the compensation, if any, of all officers, agents and employees of the corporation. Each Director shall hold office for a period of two years staggered as described below or until their successor is elected. At the annual meeting the two candidates receiving the greatest number of votes in odd numbered years and the three candidates receiving the greatest number of votes in even numbered years shall be elected to two year terms. Directors shall serve without compensation. They shall be allowed reasonable advancement or reimbursement for expenses incurred in the performance of their regular duties as specified in Section 3 of this Article. Directors may not be compensated for rendering services to the corporation in any capacity other than Director unless such other compensation is reasonable and is allowable under the provisions of Section 6 of this Article. (b) any brother, sister, ancestor, descendant, spouse, brother-in-law, sister-in-law, son- in-law, daughter-in-law, mother-in-law, or father-in-law of any such person. A Regular meeting of the Directors shall be held without other notice than this Bylaw immediately before and (or) after the annual meeting of members. Additional Regular meetings may be scheduled as called for by the President/Chairman of the Board. Special meetings of the Board of Directors may be called by the Chairman of the Board, the President, the Vice-President, the Secretary, or by any two Directors, and such meeting shall be held at the place, within or without the State of California, designated by the person or persons calling the meeting, and in the absence of such designation, at the principal office of the corporation. Regular meetings of the Board may be held without notice. Special meetings of the Board shall be held upon four (4) days’ notice by first-class mail or forty-eight (48) hours’ notice delivered personally or by telephone or telegraph. If sent by mail or telegram, the notice shall be deemed to be delivered on its deposit in the mails or on its delivery to the telegraph company. Such notices shall be addressed to each Director at his or her address as shown on the books of the corporation. Notice of the time and place of holding an adjourned meeting need not be given to absent Directors if the time and place of the adjourned meeting are fixed at the meeting adjourned and if such adjourned meeting is held not more than twenty-four (24) hours from the time of the original meeting. Notice shall be given of any adjourned regular or special meeting to Directors absent from the original meeting if the adjourned meeting is held more than twenty- four (24) hours from the time of the original meeting. The transactions of any meeting of the Board, however called and noticed or wherever held, are as valid as though the meeting had been duly held after proper call and notice, provided a quorum, as hereinafter defined, is present and provided that either before or after the meeting each Director not present signs a waiver of notice, a consent to holding the meeting, or an approval of the minutes thereof. All such waivers, consents, or approvals, shall be filed with the corporate records or made a part of the minutes of the meeting. Every act or decision done or made by a majority of the Directors present at a meeting duly held at which a quorum is present is the act of the Board of Directors, unless the Articles of Incorporation or Bylaws of this corporation, or provisions of the California Nonprofit Public Benefit Corporation Law, particularly those provisions relating to appointment of committees (Section 5212), approval of contracts or transactions in which a Director has a material financial interest (Section 5233) and indemnification of the Directors (Section 5238e), require a greater percentage or different voting rules for approval of a matter by the Board. Meetings of the Board of Directors shall be presided over by the Chairman of the Board, or, if no such person has been so designated or, in his or her absence, the President of the corporation or, in his or her absence, by the Vice-President of the corporation or, in the absence of each of these persons, by a Chairman chosen by a majority of the Directors present at the meeting. The Secretary of the corporation shall act as Secretary of all meetings of the Board, provided that in his or her absence, the presiding officer shall appoint another person to act as Secretary of the meeting. Any action required or permitted to be taken by the Board of Directors under any provision of law may be taken without a meeting, if all members of the Board shall individually or collectively consent in writing to such action. For the purposes of this section only, “all members of the Board” shall not include any “interested Director” as defined in Section 5233 of the California Nonprofit Public Benefit Corporation Law. Such written consent or consents shall be filed with the minutes of the proceedings of the Board. Such action by written consent shall have the same force and effect as the unanimous vote of the Directors. Any certificate or other document filed under any provision of law which relates to action so taken shall state that the action was taken by unanimous written consent of the Board of Directors without a meeting and that the Bylaws of this corporation authorize the Directors to so act, and such statement shall be prima facie evidence of such authority. Any Director may resign effective upon giving written notice to the Chairman of the Board, the President, the Secretary or the Board of Directors, unless the notice specifies a later time for the effectiveness of such resignation. No Director may resign if the corporation would then be left without a duly elected Director or Directors in charge of its affairs, except upon notice to the Attorney General. Vacancies on the Board may be filled by a majority of Directors then in office, whether or not less than a quorum, or by a sole remaining Director. If this corporation has members, however, vacancies created by the removal of a Director may be filled only by the approval of the members. The members, if any, of this corporation may elect a Director at any time to fill any vacancy not filled by the Directors. A person elected to fill a vacancy as provided in this Section shall hold office until the next annual election of the Board of Directors or until his or her death, resignation or removal from office. To the extent that a person, who is, or was, a Director, officer, employee or other agent of this corporation has been successful on the merits in defense of any civil, criminal, administrative or investigative proceeding brought to procure a judgment against such person by reason of the fact that he or she is, or was, an agent of the corporation, or has been successful in defense of any claim, issue or matter, therein, such person shall be indemnified against expenses actually and reasonably incurred by the person in connection with such proceeding. The officers of this corporation shall be a President, Vice-President, a Secretary and a chief financial officer who shall be designated the Treasurer. The corporation may also have, as determined by the Board of Directors, a Chairman of the Board, Assistant Secretaries, Assistant Treasurers, or other officers. No two offices may be held by the same person. The President, Vice-President, Secretary, and Treasurer shall be members of the Board of Directors. The remaining member of the Board of Directors who is not one of the above officers will be designated as Director-at-Large. Any Director may serve as an officer of this corporation. Officers shall be elected by the Board of Directors, at any time, and each officer shall hold office until he or she resigns or is removed or is otherwise disqualified to serve, or until his or her successor shall be elected and qualified, whichever occurs first. Any vacancy caused by death, resignation, removal, disqualification, or otherwise, of any officer shall be filled by the Board of Directors. In the event of a vacancy in any office other than that of President, such vacancy may be filled temporarily by appointment by the President until such time as the Board shall fill the vacancy. Vacancies occurring in offices of officers appointed at the discretion of the Board may or may not be filled as the Board shall determine. The President shall be the chief executive officer of the corporation and shall, subject to the control of the Board of Directors, supervise and control the affairs of the corporation and the activities of the officers. He or she shall perform all duties incident to his or her office and such other duties as may be required by law, by the Articles of Incorporation of this corporation, or by these Bylaws, or which may be prescribed from time to time by the Board of Directors. Unless another person is specifically appointed as Chairman of the Board of Directors, he or she shall preside at all meetings of the Board of Directors. If applicable, the President shall preside at all meetings of the members. Except as otherwise expressly provided by law, by the Articles of Incorporation, or by these Bylaws, he or she shall, in the name of the corporation, execute such deeds, mortgages, bonds, contracts, checks, or other instruments which may from time to time be authorized by the Board of Directors. In the absence of the President, or in the event of his or her inability or refusal to act, the Vice-President shall perform all the duties of the President, and when so acting shall have all the powers of, and be subject to all the restrictions on, the President. The Vice-President shall have other powers and perform such other duties as may be prescribed by law, by the Articles of Incorporation, or by these Bylaws, or as may be prescribed by the Board of Directors. The Director-at-Large shall perform such duties as from time to time may be assigned to him by the President or the Board of Directors. The officers shall serve without compensation. They shall be allowed reasonable advancement or reimbursement for expenses incurred in the performance of their regular duties as specified in Sections 6, 7, 8 and 9 of this Article. (f) The appointment of committees of the Board or the members, thereof. Meetings and action of committees shall be governed by, noticed, held and taken in accordance with the provisions of these Bylaws concerning meetings of the Board of Directors, with such changes in the context of such Bylaw provisions as are necessary to substitute the committee and its members for the Board of Directors and its members, except that the time of regular meetings of committees may be fixed by resolution of the Board of Directors or by the committee. The time for special meetings of committees may also be fixed by the Board of Directors. The Board of Directors may also adopt rules and regulations pertaining to the conduct of meetings of committees to the extent that such rules and regulations are not inconsistent with the provisions of these Bylaws. Except as otherwise specifically determined by resolution of the Board of Directors, or as otherwise required by law, checks, drafts, promissory notes, orders for the payment of money, and other evidence of indebtedness of the corporation shall be signed by any two of the Treasurer, the President, or the Vice-President of the corporation. The Treasurer may be the sole signature on checks and notes issued for the purpose of discharging obligations of the corporation. The Board of Directors may accept on behalf of the corporation any contribution, gift, bequest, or device for the charitable or public purposes of this corporation. (c) A record of its members, if any, indicating their names and addresses and, if applicable, the class of membership held by each member and the termination date of any membership. If this corporation has members, then, if this corporation has more than one hundred (100) members or more than TEN THOUSAND DOLLARS ($10,000) in assets at any time during the fiscal year, this corporation shall automatically send the above annual report to all members, in such manner, at such time, and with such contents, including an accompanying report from independent accountants or certification of a corporate officer, as specified by the above provisions of this Section relating to the annual report. Any statement required by this Section shall briefly describe the names of the interested persons involved in such transactions, stating each person’s relationship to the corporation, the nature of such person’s interest in the transaction and, where practical, the amount of such interest; provided, that in the case of a transaction with a partnership of which such person is a partner, only the interest of the partnership need be stated. (c) With the exception noted above concerning any changes to the make up of the Board of Directors requiring the approval of the members, these Bylaws may be amended by a two-thirds (2/3) vote of the Board of Directors present at a regular or special meeting of the Board of Directors at which a quorum (as defined in Article 5, Section 13) is present. Any amendments of changes are subject to ratification by the membership at the next annual meeting of membership in which a quorum (as defined in Article 4, Section 5) is present. Notwithstanding the above Sections of this Article, this corporation shall not amend its Articles of Incorporation to alter any statement which appears in the original Articles of Incorporation and of the names and addresses of the first Directors of this corporation nor the name and address of its initial agent, except to correct an error in such statement or to delete either statement after the corporation has filed a “Statement by a Domestic Non-Profit Corporation” pursuant to Section 6210 of the California Nonprofit Corporation Law. No member, Director, officer, employee, or other person connected with this corporation, or any private individual, shall receive at any time any of the net earnings or pecuniary profit from the operations of the corporation, provided, however, that this provision shall not prevent payment to any such person or reasonable compensation for services performed for the corporation in effecting any of its public or charitable purposes, provided that such compensation is otherwise permitted by these Bylaws and is fixed by resolution of the Board of Directors; and no such person or persons shall be entitled to share in the distribution of, and shall not receive, any of the corporate assets on dissolution of the corporation. All members, if any, of the corporation shall be deemed to have expressly consented and agreed that on such dissolution or winding up of the affairs of the corporation, whether voluntarily or involuntarily, the assets of the corporation, after all debts have been satisfied, then remaining in the hands of the Board of Directors, shall be distributed as required by the Articles of Incorporation of this corporation and not otherwise. 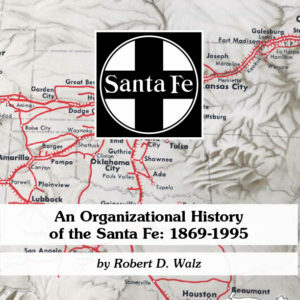 We, the undersigned, are all of the persons named as the initial Directors in the Articles of Incorporation of The Santa Fe Railway Historical Society, Inc., a California nonprofit corporation, and, pursuant to the authority granted to the Directors by these Bylaws to take action by unanimous written consent without a meeting, consent to, and hereby do, adopt the foregoing Bylaws, consisting of 24 pages, as the Bylaws of this corporation. Dated: April 9, 1983 /s/ John C. Berry Jr.
/s/ Charles A. Slater, Jr.